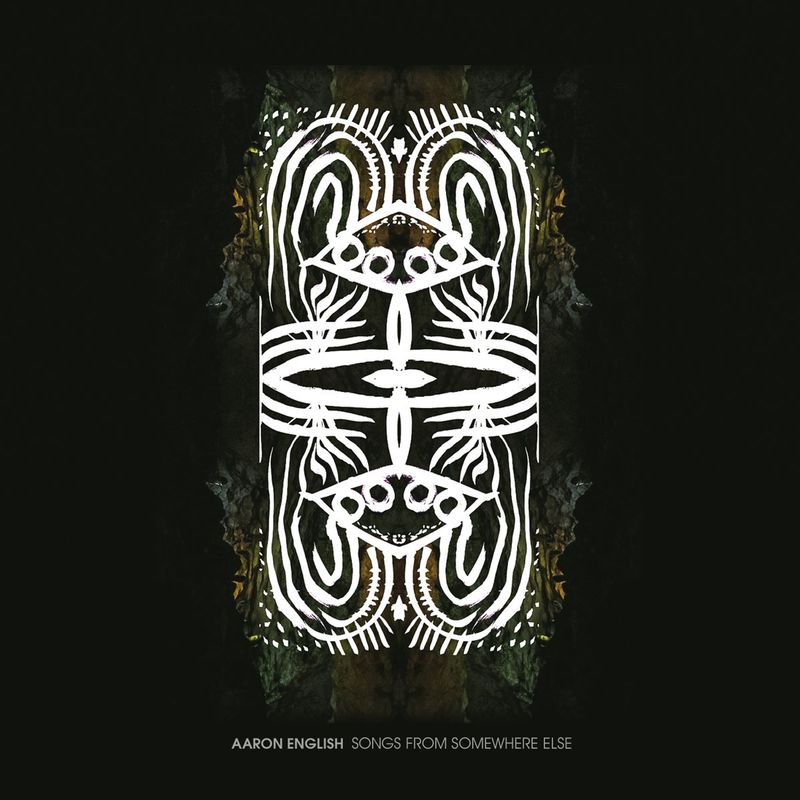 Aaron English’s new record, Songs from Somewhere Else, written and recorded during Aaron’s concert tours in Europe and America, as well as during his charity efforts in Africa. Featuring collaborations with over fifty artists from Kenya, Romania, Turkey, The Netherlands and around the U.S., the songs are journeys unto themselves. Since the release of his first album, All the Waters of This World, in 2003, Seattle-based keyboardist Aaron English’s music has been lauded for its progressive approach to the singer-songwriter genre, combining rock, folk, electronica and world music into new combinations that defy easy categorization. Highlights of his career include “The Lullaby of Loneliness”, which was featured in the Fox TV drama Bones, and “Norwegian Wood/Kashmir”, an epic reinvention of The Beatles and Led Zeppelin that was a Youtube hit and reached #4 on the Italian rock radio charts. With a production guided by English and long-time collaborator/producer Don Gunn, Songs from Somewhere Else is a timely reflection on themes of global crises and social conflict….but the perspective is personal, rather than political. Album tracks such as “Wingless Bird”(about a bird born without wings who longs for the freedom of the skies) and “Peace Be Upon You”(a call for peace sung in English, Arabic, Hebrew, and Aramaic) suggest that the key to rekindling hope and peace in a world rife with division and disagreement is to first find that hope within yourself, so that you can then offer it to others. Production of the record began, by accident, in May 2015, when Aaron traveled to East Africa to found the International Youth Music Project, a charity that supports music programs for disadvantaged youth in orphanages, refugee camps, slums, and HIV/AIDS-positive community centers. While Aaron was working with young aspiring artists at an orphanage in the slums of Kisumu, Kenya, he asked the Luo master musician Walter Koga to travel ten hours by bus from Nairobi to collaborate on a recording of the African classic “Kothbiro”. But when Walter finally arrived, the power went out in the neighborhood that housed the recording studio (a daily occurrence in many parts of Kenya). So Aaron and Walter sat down to wait for power to be restored and, while they waited, wrote two songs in English, Luo, and Swahili: “Afande (Policeman)”, which recalls the supple reggae-influenced rock of Police-era Sting, and the ethereal “My Dream (Lekna)”, driven by the rhythms of the nyatiti, an ancient East African stringed instrument. When electricity finally returned to the studio, Aaron and Walter recorded both new songs, as well as “Kothbiro”. These songs were the first to be recorded for what would become Songs from Somewhere Else. Aaron returned home to Seattle and, beginning in January 2016, started releasing new songs, in installments, as music videos on his YouTube channel: http://youtube.com/aaronenglishband. Produced by Aaron himself, and often featuring elaborate cartoon animations, or shot in exotic locations (such as the Dwan Light Sanctuary, a futuristic “temple of light” in Las Vegas, New Mexico), these video productions often became adventures in their own right. Many of the songs recorded during this period would eventually become a part of Songs from Somewhere Else. Focus tracks from the new album include “Born Under the Same Sun”(written in a snowed-in cabin on elk sanctuary land in the Utah mountains), which recalls Graceland-era Paul Simon; the anthemic “Coming of Age in Hard Times”(recorded in an attic in Verona, Italy – Aaron tracked vocal takes in between outbursts b the pigeons nesting in the roof); and a cello-and-piano re-imagining of the George Michael classic “Praying for Time”(recorded at Death Cab for Cutie’s studio in Seattle).